We bring forth for our clients a quality assured range of tubes of ASTM A179 seamless tubes, that is used in heat exchangers and condensers. Offered in the grade of 179, these tubes are suitable for heat transfer applications because of their temperature withstanding capabilities. These ASTM A179 seamless tubes are produced using extrusion or rotary piercing which have been sourced from the reliable and certified vendors. Our ASTM A179 seamless tubes are used in sugar mills & distilleries, pumps and petrochemicals, cement and construction industries and steel plants. We are manufacturing Carbon Steel Stub end that are made with complete attention to all the details so that the best can easily be provided to the clients. All these stub ends widely cater to the requirements of various industries. These stub ends can be installed with ease and are competitive in prices. Highly durable and precise they are made of premium quality stainless steel that is completely rust resistant. Type : Seamless / ERW / Welded / Fabricated. Form : Long Stub end & Short Stub end. 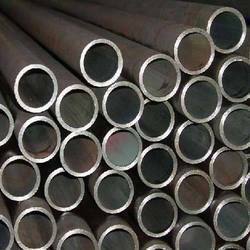 We offer a wide range of high quality Carbon Steel Tubes to cater to the demands of different industries spread all across the globe. We design our carbon steel tubes in standard and customized dimensions and ensure their impeccable & long lasting quality. Owing to trustworthy features and prices, our products have captured a large share of global market. Carbon Steel Tubes is used in the most critical engineering applications and also in certain applications in the automotive sector. They are reckoned for its superior tolerance capacity and resistance to oxidation and corrosion. 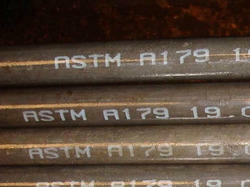 We Offer ASTM A210 GR.A1 Seamless Tubes that are manufactured by some of the trusted vendors of the market. These show remarkable resistance to temperature change and corrosion. Our ranges of ASTM A210 GR.A1 Seamless Tubes have smooth finish and can be easily deformed or welded for different applications. Offered in the grade ASTM A210 GR.A1 Seamless Tubes are suitable for heat transfer applications because of their temperature withstanding capabilities. We put forward a broad range of DIN 17175 Seamless Tubes that are manufactured in adherence with the set industry standards using advanced technology and optimum quality raw material. Considering variegated demands of our respected clients, we offer these tubes in various sizes and other related specifications. 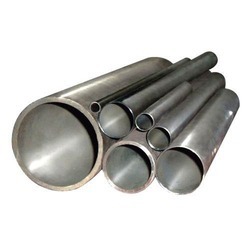 These tubes are used in the construction of boilers, pipe-lines, pressure vessels and equipment. Our offered tubes are credited for their accurate dimensions and durability. We source high class & customizable DIN 17175 Fabricated Seamless Tubes of very high dimensional accuracy & excellent concentrically. DIN 17175 Seamless Tubes sourced by us conform to exacting standards and specifications like DIN and other equivalents to International specifications. 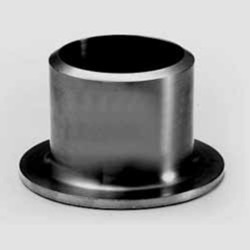 Fabricated using finest quality material, the product ensures long life and reliability. 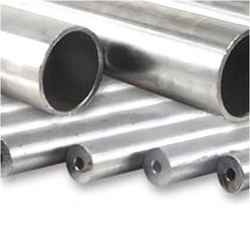 This standard including tubes for headers of heat-resistant steels which are used in the construction of boilers, pipe-lines, pressure vessels and equipment.